Friends, I am so excited that the hubs and I get to have a weekend trip for our anniversary this year! We haven't had a weekend alone since our oldest, 13, was born. I love my kids, but now that I am homeschooling all three of them, mom and dad need a weekend trip before school really starts. Since it's been so long since we went anywhere, I didn't even know what to pack. I want to be comfortable, but I don't want to take several suitcases to have all of my favorite things. 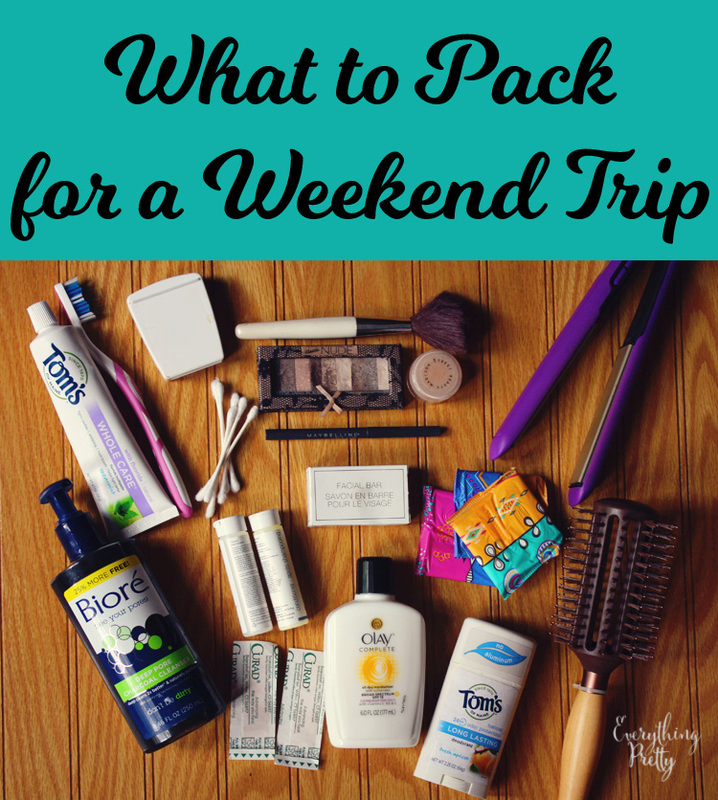 Here's my list of what I'm packing in my overnight bag for the weekend. I had samples of soap, shampoo, and conditioner, so I packed those. For makeup, I went light and with a palette that is small yet has variety for day and evening looks. I decided to keep my hair simple for the weekend and straighten it, so I just need a flat iron and a brush. Otherwise, I'd have to take quite a few products for curly hair. Even though the weekend is midcycle, I still want to take U by Kotex Curves® Liners just in case. Since I'm packing light on my clothes, I really don't need any surprises! The Stay-in-Place liner stays where I place it, so it's great for backup protection and to help me save my undies in case of a surprise. They flex with my body, so they are comfortable to wear. Want to try U by Kotex® for yourself? Click here to get your free sample pack with 2 U by Kotex Curves® Liners and 2 U by Kotex® Lightdays® Liners! You can also share a picture showing how uncomfortable some liners can make you for a chance to be the next U by Kotex®superstar!